With the need for alternative mobility solutions becoming more pressing than ever, it is only a matter of time till electric vehicles start becoming more and more popular. But for that change to take place, there is a lot of catching up that the infrastructure in India has to do so that it becomes sustainable and realistic. The first step is to set up usable recharging points through our road and highway networks. And it is to step up to this demand that renewable energy companies have started installing charging points at various parts of the country. One such company is Magenta Power – a supplier of renewable power solutions. 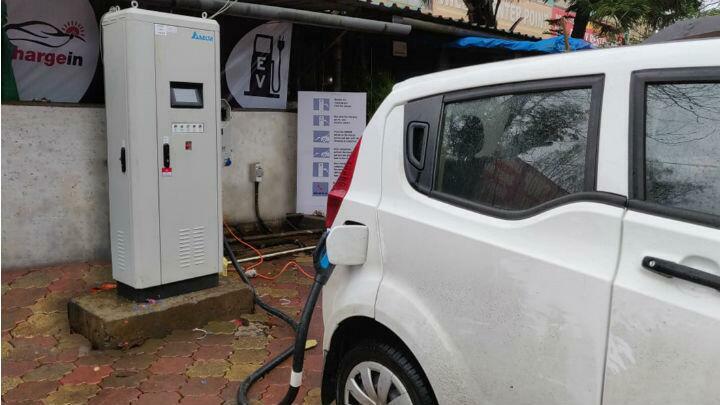 The company earlier installed India’s first solar power based EV charging station in Navi Mumbai last month. Now, they have added an additional recharge point halfway through the Mumbai-Pune Expressway. The point is situated at Hotel Centre Point in Lonavala and will service travellers using the expressway. The point itself is called Chargein and is part of Magenta’s plan to create a network of recharge stations all over the country. The Chargein points can be accessed by users using the Chargein app on their phones. Payments for using the service will be through the app itself using an OTP based payment system. Eventually, Magenta plans to set up charging stations for two, three and four wheelers as well as buses in their effort to create electric highways all over India. All their charging systems will be connected via a central network which will allow Magenta to monitor and control them. Magenta says that the next phase of the project will see stations being set up in Bangalore and Mysore, enabling EVs to ply between the twin cities.